Water flow or water build up? 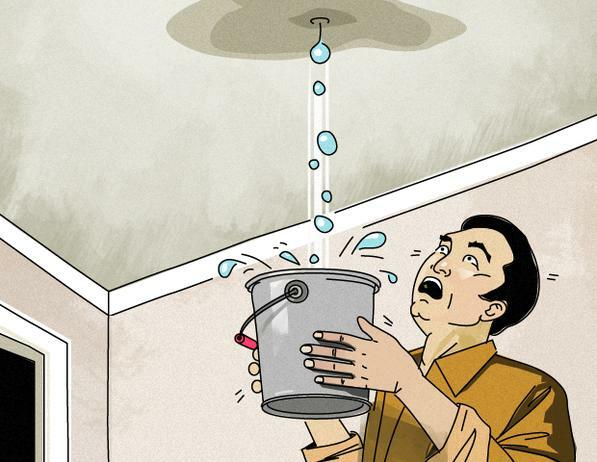 There are several reasons for roof “leaks” but some are more common than others. In fact, dampness seeping into your home this winter may not even be the result of a roof leak. By taking some preventative steps homeowners can stop serious damage to the roofs of their homes during colder months. Preventing roof damage can save a homeowner serious money. “On the outside of your roof it’s very important to remove anything that can come into contact with your roof, like tree limbs. Limbs scrapping a roof can really cause damage to a roof’s outer covering, like shingle granules, which prevent water absorption. 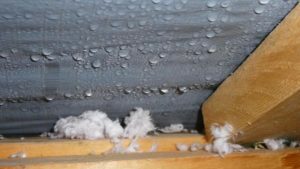 On the inside it’s important to monitor things that can cause abnormal attic temperatures, like duct work that isn’t properly insulated or too much heat escaping from your home into your attic. 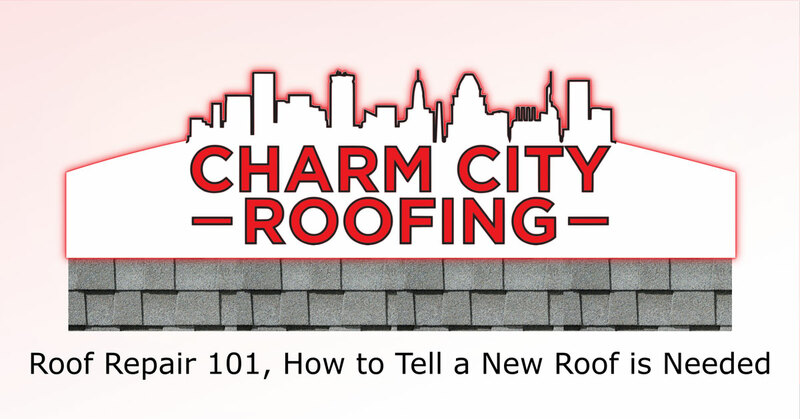 Drastic temperature differences can put a lot of stress on your roof,” Charm City Roofing owner Roger Bush said. According to the website HomeAdvisor, nationally the cost for repairing an asphalt shingle roof is about $575. The average cost for a new asphalt is $6,000 on average. Nationwide Insurance places those costs at $690 on average for repairs and more than $7,000 for replacement. 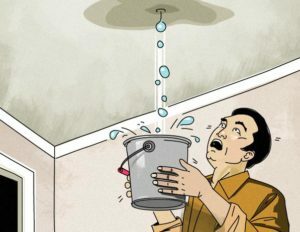 Sings of a roof leak and other problems with moisture in your home include mold, water spots ceilings or walls and wet and swollen insulation. 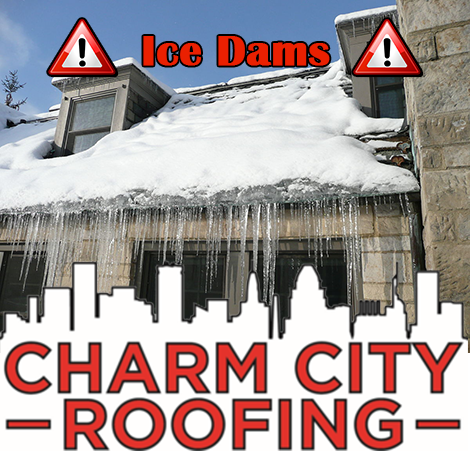 During the winter, at least in colder climates, one of the leading causes of roof leaks is something called “ice dams.” The name is pretty self explanatory. Ice dams are, essentially, caused by ice that forms at the edge of a roof after thaws and re-freezing. These issues are exacerbated by temperature differences on a home’s roof. These ice build-ups cause melting snow to pool on a roof and eventually leak into a home. “There is a complex interaction among the amount of heat loss from a house, snow cover, and outside temperatures that leads to ice dam formation. 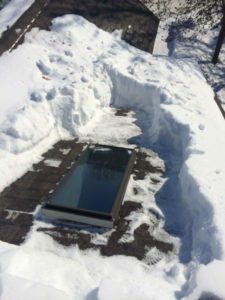 For ice dams to form there must be snow on the roof, and, at the same time, higher portions of the roof’s outside surface must be above 32 (degrees Fahrenheit) while lower surfaces are below 32 (degrees Fahrenheit),” according to the University of Minnesota. There are a few methods for preventing ice dams, such as making sure to use a broom to remove snow from the roof. If the snow doesn’t pile up no ice dams can form. It’s a simple as that. Be careful while clearing the snow from a roof. Being hasty or using the wrong tools can damage shingles. Homeowners should also make sure that gutters are clear, preferably before a freeze, because backed up water in those drains can contribute to ice dam formation. But to make sure ice dams don’t become recurring issues the best course of action, according to the University of Minnesota, is to make certain the ceiling is air tight. The next step is increasing ceiling and roof insulation to reduce the amount of heat loss. Heat differential on the roof can cause uneven melting contributing to ice dams. No “Ice Dams”, Now What? Another cause of moisture in the winter isn’t even the result of a roof leak. In fact, what looks like a leak to the untrained eye may actually be attic condensation. Signs of condensation issues in your home include water droplets on the interior of a window, or a “moldy” smell due to damp insulation. Another proactive measure homeowners should take is monitoring the temperature in the attic when it gets very cold outside. When temperatures drop into the 20s its best if the attic stays at or below freezing. One very simple method to cut down on condensation issues in an attic is to use a dehumidifier. The major contributor to condensation in your home is improper ventilation. Leaky bathroom and kitchen vents allow warm air to escape into an attic and then condenses on cold roof sheeting. In turn the droplets of water come off the roof and can soak insulation. The moisture can also run down ceilings and walls creating stains. Over a long enough period of time this can even cause attics to rot. “Building codes have some requirements that attempt to prevent the problems of ice dams and attic condensation. But codes don’t address all the issues, and many houses are built without following building codes. First and foremost, it’s your builder or designer’s job to understand the relationship of humidity and air movement when designing and constructing the house so these problems don’t occur,” according to insurance company State Farm. State Farm recommends making sure exhaust fans and dryer vents don’t discharge into the attic. Minimizing fixtures that penetrate via ceiling fixtures and sealing those already made is also recommended. Taking these steps will not only help prevent condensation issues but can help reduce issues with ice dams as well. Owners of homes with skylights have to be very vigilante for potential winter damage leading to a roof leak. They can allow for melting snow to puddle. That can lead to water that rots the structure around the skylight. It can also cause dry wall damage. Maybe the most obvious cause of leaks, which can happen at any time of year, is simply broken shingles. Even if the damage looks underwhelming, such a cracked or curled shingles, it can lead to significant problems for your home. Damages could include rotting the wood sheathing beneath a roof. That can significantly add to the cost of repairs. A good rule of thumb for when its time to call in a professional is the two decade rule. 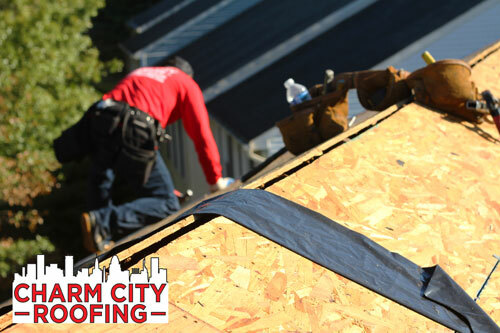 If your roof is about 20 years old, and the shingles are showing signs of damage, its time to call in a professional for a new roof Charm City Roofing. When you are trying to find out where a leak is occurring on your roof, you will want to begin by looking at the roof going up from where the stains are occurring. Perhaps the quickest and best way to begin this search is to gain access through the attic, if that is accessible to you. If you are not comfortable with locating the leak yourself, do not hesitate to contact a professional roofer to come out and assist you.